The duo is fresh off their hugely successful Summer Sixteen Tour of North America. There is no word yet on whether or not Future will be joining Drake for his upcoming “Boy Meets World Tour” in Europe, kicking off in January. The single “Used To This” was produced by Zaytoven while the chick filled clip was directed by Eif Rivera. 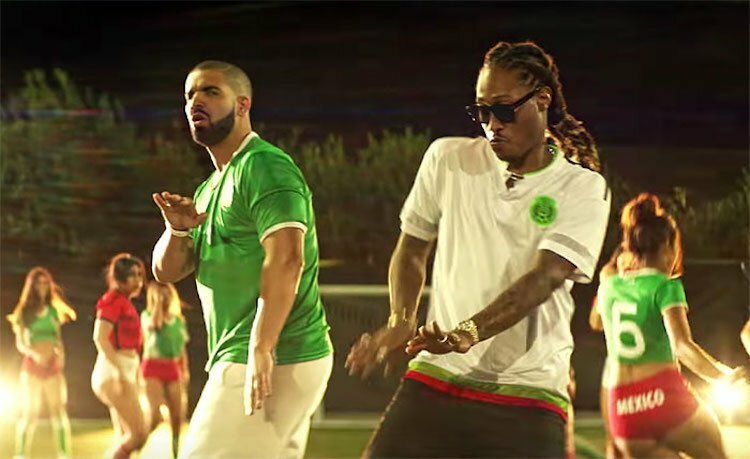 Part of the video was shot during the “Summer Sixteen Tour.” Other clips showcased a female soccer match with the ladies rocking their Mexican colors. “Mexicano, working like I’m Mexicano / New persona, we’re moving on from Ferragamo (I’m moving on) / Get the llama, I party with the real Madonna (yeah) / Beat the odds, do numbers and remain humble (Future) / Drop-top Porsches, I’m so used to this,” Future raps. The single “Used To This” is now available on iTunes.